Beijing is a huge, hectic and increasingly modern city. However, as the capital city of China, Beijing offers the photographer temples, palaces and various other historical sites on a monumental scale. One such site, the Temple of Heaven, is a favorite of mine offering broad, open spaces to walk and lots of opportunities to make great architectural photos. One of the difficulties photographers face in China is the multitude of people, many of whom on seeing a wide-eyed, foreign devil with a fancy camera will position themselves and one or more companions right in front of your camera for a series of portraits. These portraits often include the V for Victory sign (not for peace, as the sign is commonly used to refer to in the West) and a series of trite, cutesy-pie poses and fish-pout expressions. Meanwhile we photographers wait (maybe for 10 minutes or more) to get the photo we set our camera gear up for. 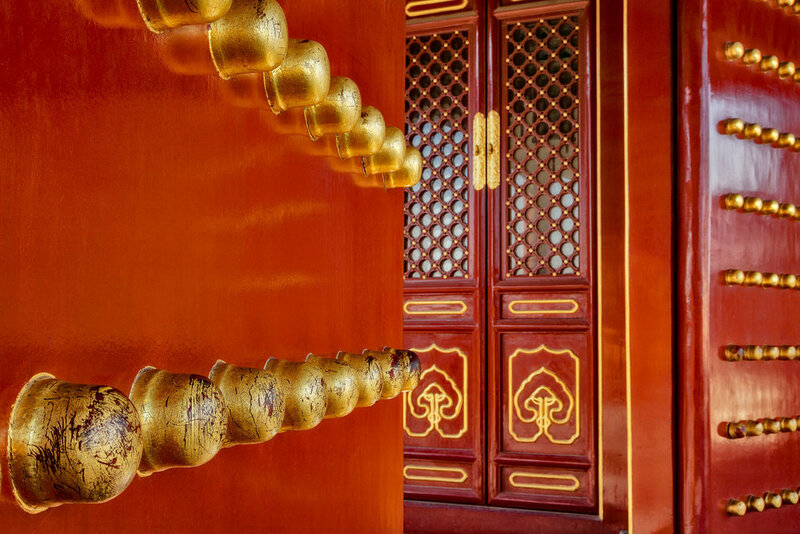 Large brass knobs lead the eye to a fabulously decorated door at the Temple Of Heaven in Beijing, China. Now this sort of behavior, where people stand in front of you as you’re about to make a photo, probably happens everywhere. I’ve personally witnessed it in Asia and Europe, and also in my own country, Australia, particularly along the Great Ocean Road during the January peak tourist season. There's been many times when I've set up a camera and tripod and carefully composed a scene only to see some Wally jump out of his car, stand a few meters in front of my camera, aim his mobile phone in the direction my camera is pointed and go click. He's seen what he thinks is a professional and wants a piece of the action. As he heads back to the car with a he-he-he I'm glad that, despite his appalling lack of manners, he's at least been quick. From my own experience the situation in China used to be so much more difficult. Cutting in front of someone else, even when boarding an airplane, was considered quite normal. I even witnessed a man bump an elderly lady to the ground when there were only three of us in line to get onto a bus with no other passengers on board. And he did it without not even so much as a by your leave, mind you. It's difficult not to get upset when you witness such events. But I'm an old hand at travel in this part of the world and there's no doubt that things have changed in China since my first trip way back in 1988 where, amongst other adventures, a new friend and I were chased and stoned by an angry mob. No doubt promenading, hand in hand, with a local lass through the streets of Chengdu in the relatively conservative province of Sichuan was not recommended back then. Fortunately, things have changed a great deal over the years. I think I've made five trips to China and a highlight of each of those adventures has been the friendship and assistance provided to me by local folk. 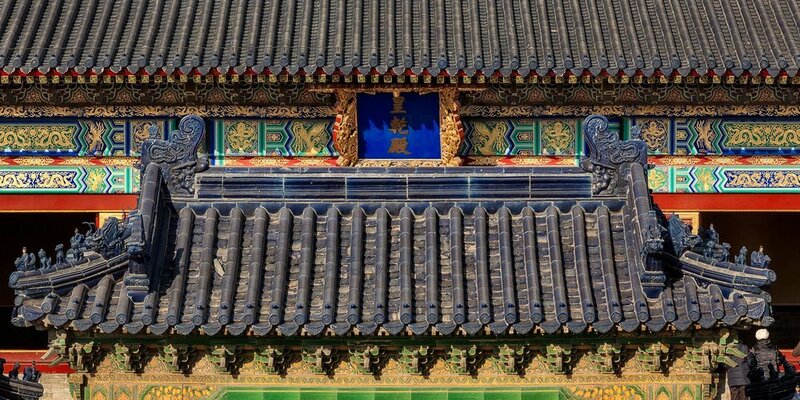 China is a spectacularly beautiful country underpinned by a rich and vibrant history. Travel there can still be difficult but, from my point of view, it's absolutely worth it. And friendship, patience and understanding are what makes the difference. 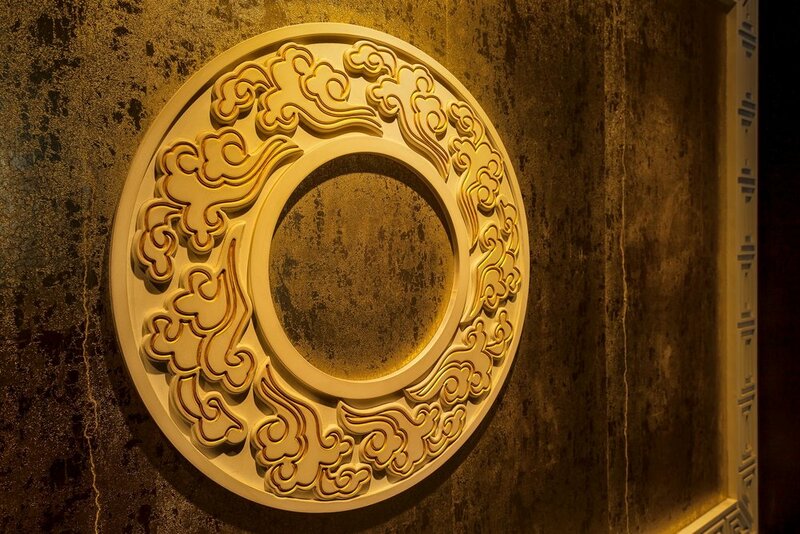 A beautifully ornate yellow disc on display at the Temple Of Heaven in Beijing, China. Of course it's always a good idea to check with your own government advisory websites, just in case the political situation on the ground has become particularly unstable, prior to planning or embarking upon an overseas trip. 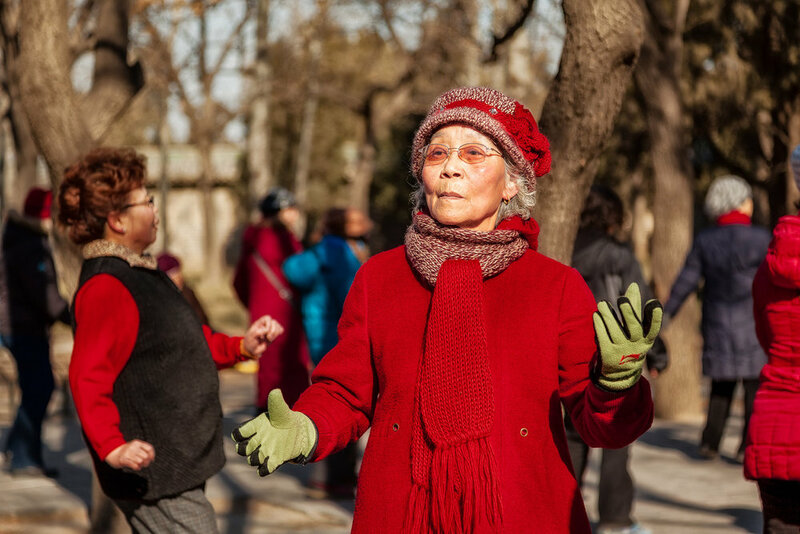 So, how do you deal with all those people at major historical tourist sites in Beijing? Fortunately there's lots of interesting details to photograph and for someone like me, interested in composition (color, texture, line, shape, balance, repetition, etc), many opportunities exist. It’s just a matter of moving in closer, often with a wide-angle lens, to emphasize foreground elements and increase the sense of three dimensional space within the frame. 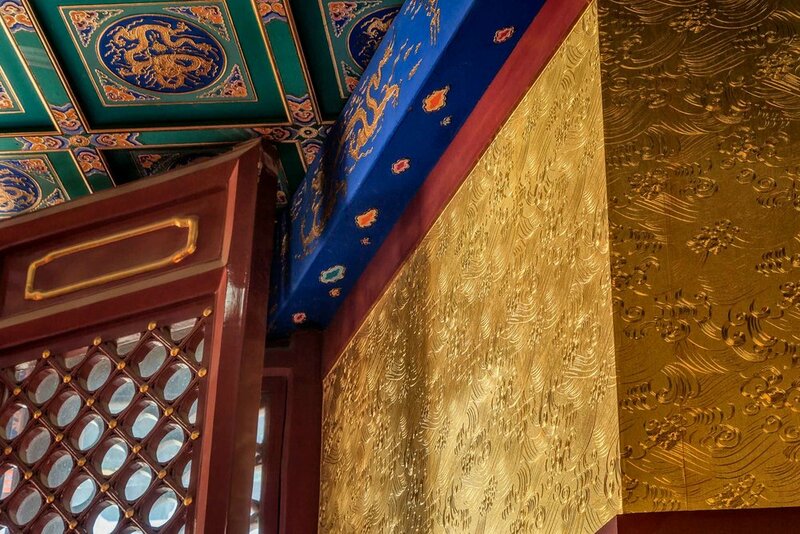 Intricately carved details adorn the walls in a pavilion at the Temple Of Heaven in Beijing, China. When it comes to photographing larger scenes I'II sometimes sit it out and wait for those few seconds when the scene is clear of people. Other times, as evident in some of the photos in this post, I include people in the frame to tell the story in a different way and/or to add a sense of scale to the scene. Sometimes it’s good to take both approaches, as you never know which image will work best in a particular context. And if someone is behaving like a bit of a drop kick it can be especially rewarding to make a picture of them, even a formal portrait. The fact that, in response to their poor behavior, you approach them and ask permission for a portrait is not lost on them. They know you're not rewarding their behavior. From my experience, aware of being given a second chance, they'll accommodate you and then move along quietly. 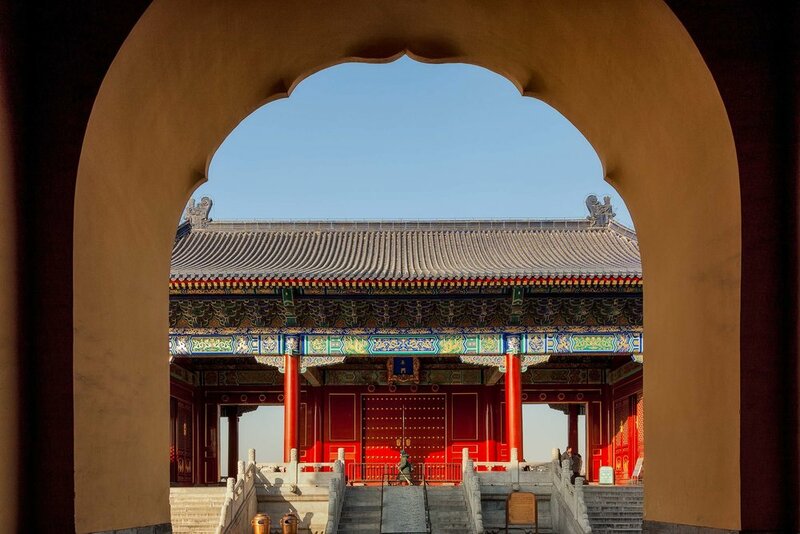 An archway frames one of the magnificently decorated buildings at the Temple Of Heaven in Beijing, China. The world is an amazing place and travel is the way in which we’re able to see so much of it. But it’s not so much where we go or what we see, but how we experience the location in question that matters most. While flight delays, filthy sheets, diabolical toilets and aggressive and unrelenting touts can be draining it’s, ultimately, the attitude we face each and every day with that determines how we experience these difficulties. Being able to manage these problems only enhances the positive experiences travel opens us up to. And I don’t see why a few difficult toilet experiences should get between you and a potentially life changing experience.